Tapered Fencing Posts (Fig 1) are manufactured in a Dry cast system using 60N/mm² concrete, resulting in a much more dense durable product but does not have the smooth finish of wetcast. 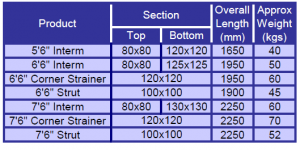 Intermediate Posts shall be spaced equally but not to exceed 3’0″ centre to centre. Straining Posts shall be provided at all ends, corners, changes in direction or acute variations in level and at intervals of not more than 69m in a straight length of fence. 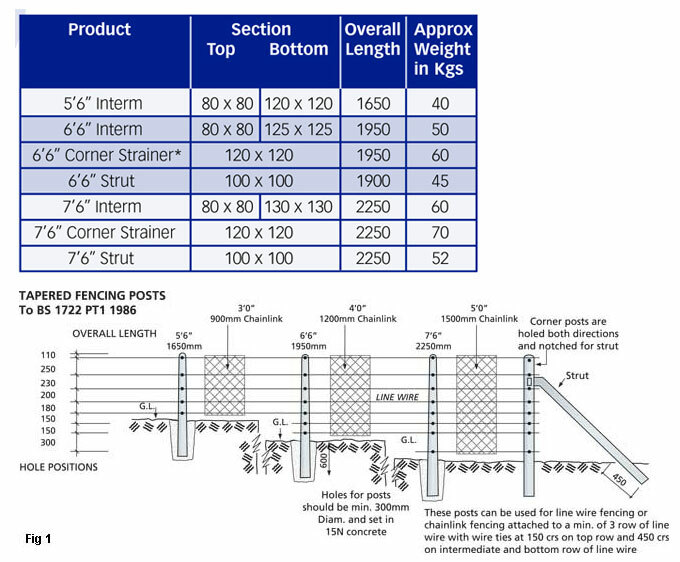 Struts or stays placed at 45° and fixed to prop all straining posts in the direction of each line of fencing. Posts should be set in ground to a depth of 600 mm for fences up to and including 1.4m high and 750mm for fences over 1.4m high. Struts should be not less than 450 mm into ground measured along the centre line of strut with a minimum hole size of 300mm x 450 mm long in plan. 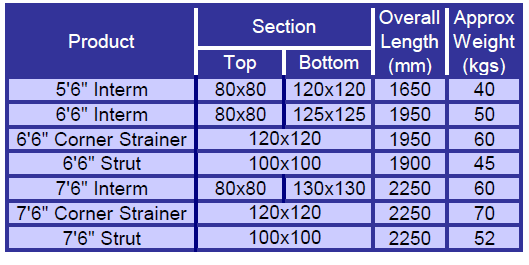 Ground conditions may indicate a variation in the length of post or strut, or the depth to which it should be set.